The cold waters go unnoticed when we see whales, dolphins or turtles on some of the beaches. During the day several trails can be made or for those who want to venture further, the options are diving or kite surfing and in the late afternoon see the sun set in the sea. 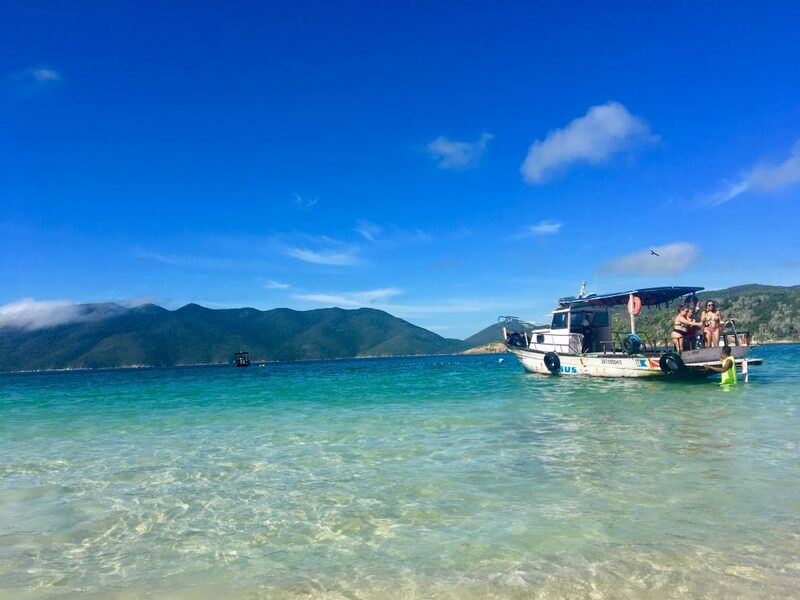 Arraial do Cabo has good weather all year, between May and September, winter, rainfall is lower and water is less cold, during the summer, high season, has higher frequencies of rainfall. The city is in the lakes region, approximately 160km from Rio de Janeiro city, can be reached by car (2h20) or by bus (3h30). The hotel chain has great infrastructure offering several lodging options, the recommendation is to stay in Praia dos Anjos or Praia Grande, where it is possible to do everything on foot. 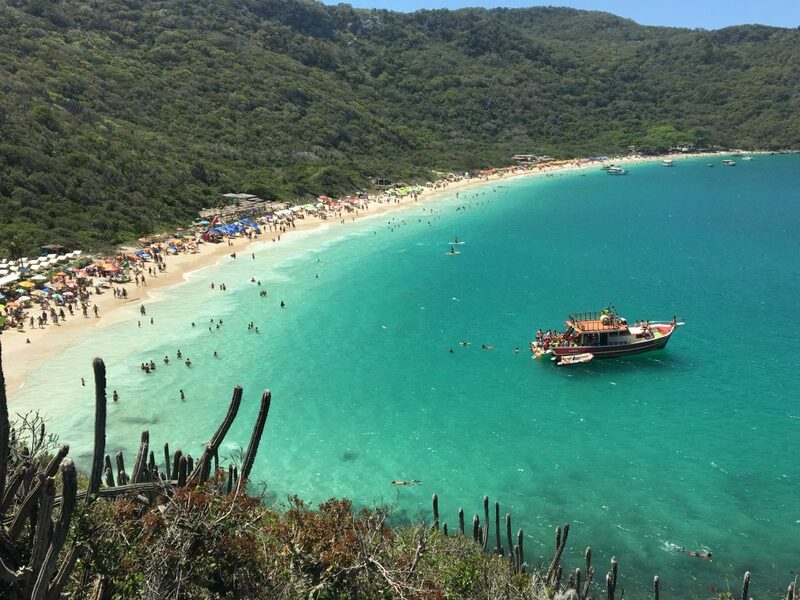 The main beaches of Arraial do Cabo are: Pontal do Atalaia, Praia Grande, Praia do Forno, Praia dos Anjos and Prainha. In the next post we’ll give you more information on what to do in this paradise.